Looking for Nissan Forklifts? Well, you're in the right place, because the Nissan quality you’ve come to know and trust now has a new name – Unicarriers. Nissan Forklift branding has been discontinued and now operates under the name UniCarriers; an umbrella forklift company that manufactures UniCarriers, TCM and Atlet products. We supply a big range of genuine and aftermarket parts for all Nissan makes and models. The UniCarriers range includes electric counterbalance forklifts from 1 to 3.5 tonne, engine forklifts from 1.5 to 30 tonne and a full range of warehouse equipment including reach trucks, order pickers and turret trucks. 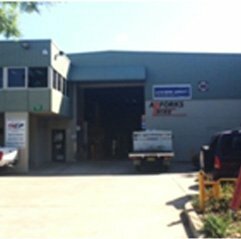 Lencrow is the official Australian distributor for UniCarriers products and parts and we have the expertise and resources to service all makes and models, especially Nissan Forklifts. Due to their huge popularity, we usually always have Nissan Forklifts available for sale in our second hand stock, all with complete service records and maintenance histories. UniCarriers have grown to be one of the world’s leading forklift manufacturers, providing high standard forklifts to more than 120 countries for nearly six decades. Lencrow Forklifts is proud to be the authorised distributor for UniCarriers here in Australia. 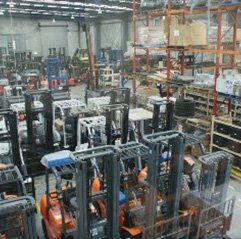 Lencrow Forklifts has one of the largest and most comprehensive range of new, used and rental forklifts in Australia, with a product specifically designed for every type of materials handling application. 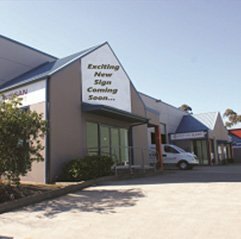 A proudly Australian-owned family business with 40 years industry experience, Lencrow is committed to ensuring the Australian industry has a sustainable future by providing a complete all-in-one materials handling solution. We stand behind everything we do with outstanding customer service and support, and our 5 branches across Australia and more than 60 trained staff mean we have the knowledge and resources to continue providing the very best quality, service and value for money. Our comprehensive range of services includes a 24 hour emergency forklift repair service, with onsite response times in metro areas of around 2 hours and around 4 hours in regional areas. We also provide state-of-the-art servicing with our computer aided Planned Preventative Maintenance System (PPMS), which uses your equipment data to customise a servicing plan that will reduce lifetime running costs. If you’d like to find out more about our range of UniCarriers forklifts or any of our materials handling equipment, we invite you to browse through our range online, or give one of our friendly experts a call to discuss your particular requirements on 1300 536 276. You can also get in touch with us at any time by entering your details in the online enquiry form and we’ll get back to you asap or by visiting any of our five branches located in Sydney, Melbourne, Newcastle, Adelaide and Brisbane.